Scaling golf's Major summit for the first time is a momentous feat, but doing it again is almost as hard; there are 31 one-and-done Major winners since 2000. "I think your first one, sometimes it's taken so much out of you to win and then it's sort of you feel like it's difficult to get to that emotion again, to that spot where you do it again," the South African told The Straits Times yesterday at the Sentosa Golf Club. Former world No. 1 won the 2001 British Open but is winless in 255 starts. Won 2002 PGA Championship but winless in 273 starts. Won 2003 PGA Championship but winless in 280 starts. Won 2004 British Open but winless in 272 starts. Won 2005 US Open but no wins after that. Won 2011 British Open but no wins after that. There are simply no guarantees, he added, pointing to how compatriot Matt Kuchar had led last year's British Open field at the 13th hole in the final round only for eventual winner Spieth to stage a dramatic comeback with a birdie-eagle-birdie-birdie run. When you get into that position with eight or nine holes to go, you're a little bit more nervous, have more adrenalin going. But that's what you work towards... because I'm in contention to win. 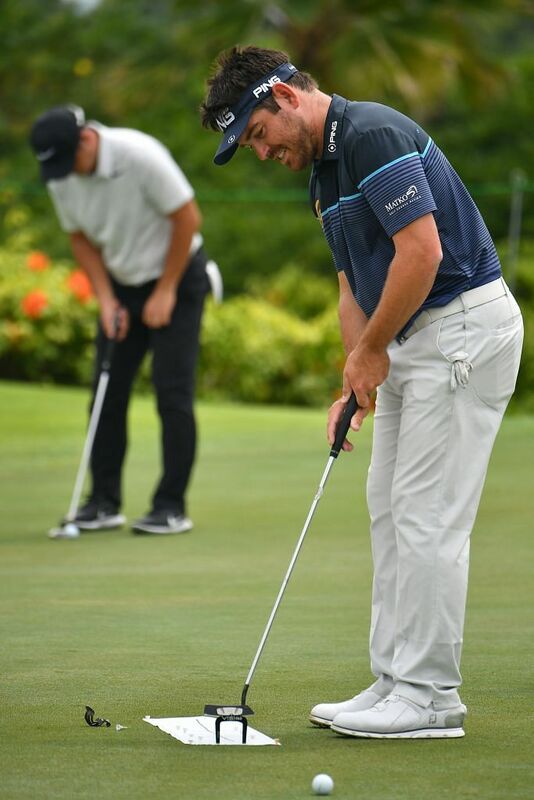 LOUIS OOSTHUIZEN, world No. 24 golfer, on the thrill of being in the hunt in the final round of a Major. Matt had the lead on Jordan but, in the end, Jordan did what he did. Matt was playing phenomenally. You look at Sergio (Garcia), he's got one but he was there a million times before. So it's just hard. PAT PEREZ, world No. 16 golfer, on how elite golfers like second-ranked Jordan Spieth are capable of pulling something spectacular out of the bag.